On the weekend of the 2nd and 3rd June, Thomas in Year 4 travelled to Poland to take part in the Capoeira European Championships for 2018. Thomas took part in the Under 9s category and we are delighted to say that......HE WON!!! Thomas was crowned the Champion of Europe 2018. We are all so very proud of him!!! Well done!!! Please come along to our fantastic annual Family BBQ. It is always a great evening and a lovely way of getting the school community together. Click on this link to find out more. Please come along to our exciting annual Quiz Night, which takes place this Friday at 7.30pm. Click on this link to find out more. Please click here for the key dates for parents and carers in the Summer term 2018. Please click here to see the ways in which we are marking Holy Week throughout this Lenten season. 3.30pm: The children (and staff) have arrived safely back to Wood Green and are back in the warmth of the school building. They are exhausted but excited to be home. Have a good night everybody and sleep well! God bless all of you. 11.00am: The children have just boarded the coach and are en route back to Wood Green. The latest estimated arrival time is between 3pm and 4pm. We will keep you updated throughout the day via text. 8.00am: The children have woken in very high spirits and are just tucking into a hearty breakfast. 10.00pm: The staff have let me know that they plan to leave Pendarren at 10am tomorrow morning and have an estimated arrival time back at school of 3pm. However, this is wholly dependent on how the roads are on the journey back (as snow is forecast across England). The school will text parents with updates throughout the day tomorrow. 9.00pm: The children have just finished having a story told to them by the wonderful story-teller, Daniel Morden. They are now spending their last few pennies in the tuck shop! 7.00pm: The news has filtered through to the children that, due to the dangerous weather that is forecast for Friday, the coach will be bringing them back home tomorrow. The children are very disappointed to be coming back a day early! 5.00pm: Although there was snow, the children went up to the Big Pit and climbed to the very top! The staff have reported that the children really enjoyed themselves today. 9.00am: The children have woken up in good spirits and are ready to go for the day ahead! The cold weather has kicked in and the snow is beginning to fall - as you can see from some of the latest photographs in our GALLERIES section! Today's activities include the 'Big Pit' and climbing! I hope they have had their Weetabix! 9.00pm: Tonight, the children took part in a 'Murder Mystery' evening. They had a great time being detectives and managed to use all of the clues to identify the true identity of the murderer. 10.00am: For more wonderful photographs of the children, please click on our Galleries page (under the NEWS section). 9.00am: The children are ready for their first full day of activities! This morning they will be taking part in a mountain walk and climbing! They will also be taking part in a river study - which includes caving and spending time by an amazing waterfall! What a day of fun that lies ahead! Enjoy and wrap up warm! 10.00pm: The children are all tucked up in bed and are pretty exhaused from their first day of activities. 6.00pm: The children have taken part in their first activity and are having a great time. There is no snow in Pendarren at the moment - it is just very cold! The children will soon be having dinner before taking part in the evening activity. 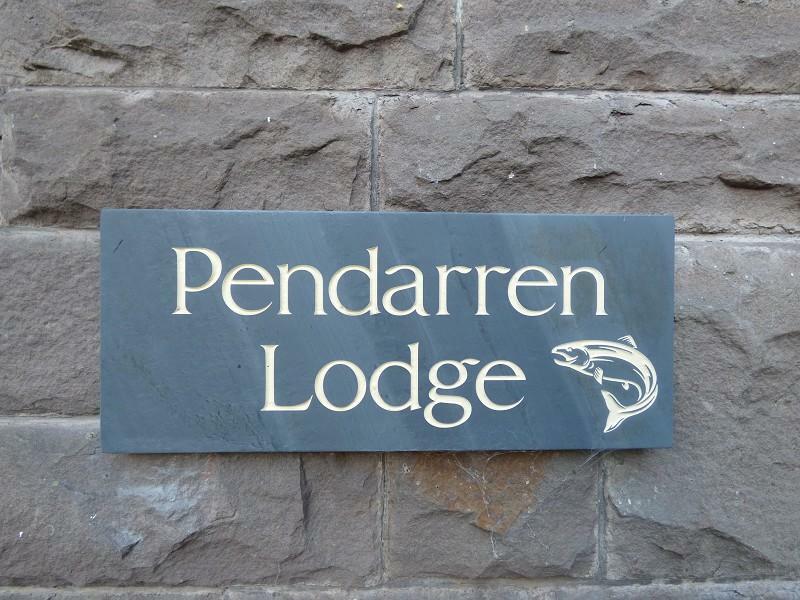 2.00pm: The children have just arrived at Pendarren Lodge and, Mr Mulligan reports that they are all in high spirits! The journey was not too bad, despite the snow this morning and the children are incredibly excited!!! Please click here for the key dates for parents and carers in the Spring term 2018. It gives me great pleasure to announce that the Year 6 pupils from St. Paul’s were awarded the Outstanding Primary Science, Technology, Engineering and Maths (STEM) Award at the annual Haringey’s ‘Outstanding For All’ awards ceremony at Alexandra Palace, in recognition for their pioneering work in sending a teddy bear up into space. The awards ceremony, which is Haringey’s fifth annual event, celebrates education success in Haringey and showcases excellent teaching and learning. The children were so proud to go up on stage and receive the award, which has been published on the Haringey website. It has really helped to put our school on the map, regarding STEM, and is further evidence of the impact that our engaging curriculum has on the pupils. We are very proud of our children and of the hard work that they out into the project. They were very worthy winners on the night, receiving the award itself, a certificate and free tickets to watch Tottenham Hotspur. It certainly proved to be a very fruitful and rewarding night for the children! Well done! Please support St Paul’s Forest School by voting for us and sharing the link with your friends and family. We have applied for a grant of £1000 for St Paul’s Forest School to buy waterproofs, tools and equipment for our Forest School and for family days in the woods. The first 200 projects to get 1000 votes before November 21st will get £1000. Please click here for the dates and times of our upcoming open mornings and afternoons for prospective parents/carers who are interested in their child joining our Reception class in September, 2018. Please click here for the key dates for parents and carers in the Autumn term 2017. On Wednesday 5th July, 13 pupils from St. Paul’s Catholic Primary School embarked on a school trip like no other. Armed with a teddy bear, a series of incredibly small computers (called Raspberry Pis) and a high density high altitude balloon, the intrepid crew set off in the early hours of the morning to a field in Elsworth, Cambridge. Their mission was simple, to launch the school teddy bear (‘Justin Bee-Bear’) into space, which would send back live flight images and photographs of its stratospheric voyage! This extraordinary project was part of the school’s ongoing celebrations to mark the 130th anniversary of their opening and it certainly did not fail to disappoint. Once the children arrived in Elsworth, they set up camp in a discreet farmer’s field where they began to set up the balloon launch. With Justin Bee-Bear attached, and vast quantities of helium inserted into the balloon, the children were ready for the launch! At 11.30am, an excitable countdown ensued before the balloon was released. An audible sigh of wonder and awe could be heard as the balloon (with teddy attached) shot up into the air – at a speed of around 6 metres per second. The excited group watched as the balloon began to get smaller and smaller as it travelled upwards – thankfully a perfect summer’s cloudless sky meant that the balloon could be observed until it finally disappeared from view. Every few seconds, the small computer was capturing images (both video and still) of Justin’s rise through the atmosphere, whereupon it entered the stratosphere. The images that were beamed back down to earth were simply out of this world (excuse the pun). The children and adults alike gasped in awe as some of the images showed the curvature of Planet Earth in the background. Our brave bear travelled a total of 36438 meters into the air (nearly 23 miles). At this point, the balloon itself expanded to around 8 metres in diameter due to the pressure - before bursting and falling back at an alarming speed of 60 meters per second (nearly 135 miles an hour) back to Earth. This is when the adventure really kicked into gear as the ‘Chase Team’ revved the engines, followed the tracking system that showed the trajectory of Justin’s fall and drove into Sussex hoping to meet the bear as it landed. And they were not far off! At around 3pm, the chase team located the bear in a wheat field in Stowbridge. The bear was in remarkably good condition considering his intergalactic adventure! He was still in one piece and, most importantly of all, was still smiling! The children, staff and Justin Bee-Bear himself, had an amazing time taking part in an adventure that was truly a once-in-a-lifetime experience. Justin is now sitting proudly on display in the school – a hero of his time in an adventure that will never be forgotten by the children at the school. This is a view from our camera in space! 12.30pm: Children are on board the bus and on their way back to London! I hope they did not forget the teachers! 7.30am: The children had a busy morning packing their cases and enjoying a hearty breakfast - before setting off to do the 'Bushcraft' activity. They finished the session by toasting marshmallows on the fire! Amazing! You can see the latest photographs of the morning's activities in the GALLERIES section. 7.30am: The children all slept well and were treated to bacon and beans for breakfast! They then made their way to the 'River Study', which includes the exciting visit to the caves! Later this evening, the children will be showing off their dance moves in the disco. The children are all in fantastic spirits and having a ball in Pendarren! 8.00pm: The latest new from Pendarren is that everyone is doing really well! The children (and adults!) enjoyed their time at the museum. They went swimming before tucking into a large dinner - which was thoroughly enjoyed by all! At this very moment, the children are all engrossed in the wonderful story-telling skills of author Daniel Morden. It sounds like they have all had a very busy day! 5.00pm: Take a look at some more of the photographs of today's activity at St. Fagan's Museum of Welsh Life (in the GALLERIES section). It looks like the children are having a real ball! 7.00am: Mr Mulligan called today to say that the children have all had a great night's sleep and are ready for their third day of activities at Pendarren. The children spent the evening last night playing in the field in the sunshine and had a wonderful day! 7.30pm: Take a look at some of the photographs from this afternoon's 'Minibeast Quest' in Pendarren in our GALLERIES section. 1.30pm: Latest photographs from Pendarren can be seen on our GALLERIES page. 9.00am: The children all had a great night's sleep and have woken up - ready to take on the challenges of the day. Today the children are taking part in 'River Studies' and orienteering. They are all really excited and having a great time. 1.00pm: The children have just arrived at Pendarren Lodge and are all in good spirits! They are just getting ready for the mountain walk! Have a great time everybody! 10.00am: The children left school earlier today and their estimated arrival time at Pendarren Lodge is 1.30pm. Click here for the key dates for parents and carers in the Summer term 2017.